A short ferry ride away from Dakar, lies the quiet and picturesque Goree Island. Three kilometers off the coast, the Senegalese island is tiny and easily accessible by foot. Without cars or roads, the island preserves a charming ambiance with faded buildings revealing its European colonial history. Beneath its quaint facade, however, the island hides a brutal history. Known as Senegambia at the time and located at the westernmost point in West Africa, Goree Island used to serve as a strategic trading post for the transatlantic slave trade -- African men, women and children were held and traded here before being loaded onto ships to America. Estimates vary, but all of them place the number of Africans who died while in transit in the millions. Eloi Coly has worked on the island for 26 years as a site manager. He is also the chief curator of the "House of Slaves," built by the Dutch in 1776, and is the last slave house remaining on the island and Coly has painstakingly preserved its history. "The 900 meter-long island used to host around 28 slave houses. Today most have disappeared and turned into private houses," Coly told CNN during a tour of the house. "This one was chosen by the Senegalese state to keep the memory and remind all the people about the fragility of the liberties. People come from different countries... It's a place of memory and reconciliation." 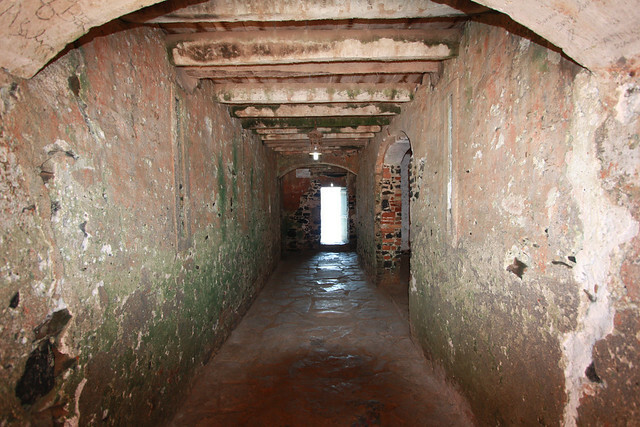 On the ground floor of the house is the men's quarters where male slaves were housed in a row of cement cells. According to Coly, about 15-20 male slaves were packed in these 2.6 meter by 2.6 meter rooms; seated with their backs against the wall, chained around the neck and arms, they would usually have to wait in the room for about three months. The conditions were so appalling and unsanitary that a major epidemic that ravaged the island in the 18th century started in these rooms, Coly said. After the waiting period, the slaves would then be taken out of the cells for trade. They were then stripped naked and gathered in the courtyard in the middle of the house. The buyers and traders would lean over the balcony overlooking the courtyard and observe the slaves while negotiating prices. "Each ethnic group used to have a quoted price." said Coly, "They were treated exactly as merchandise not as human beings." The selected slaves would then be taken from the courtyard through the corridor to the 'door-of-no-return'. Located at the very back of the house, facing the Atlantic Ocean, the door leads to a wharf made of palm wood, where there would be a ship waiting to take the Africans across the ocean, never to return to their homes. 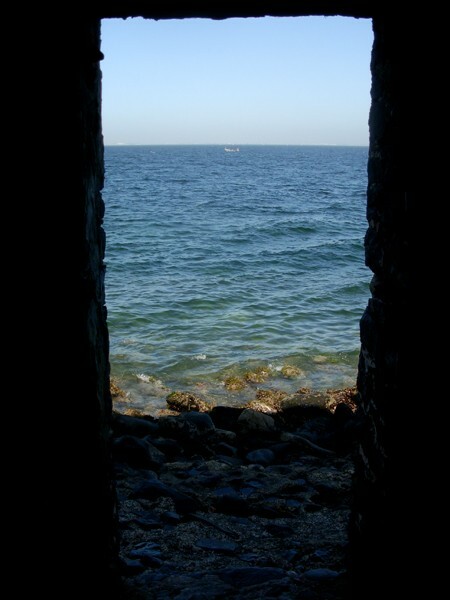 Slaves that had fallen ill or died were also thrown into the ocean from this door, Coly said. According to Coly, all parts of the house were utilized to facilitate the slave trade: small dark rooms underneath the staircases were used as punishment rooms, and the damp little rooms kept young girls and children separately from men for sale or the pleasure of the traders. side your imagination that's associate lingering period of time mountain vacation expertise in the Kingdom of Nepal. for scenery as some 55000 folks trek there per annum. The Manaslu trekking is one of the best trekking destinations in the western part of Nepal Kathmandu. The Manaslu Tsum valley trek and Manaslu area is restricted for the foreigner if you want to travel in your once life you should buy special permit for the Manaslu trek. It is pretty expensive but after entering this area then you will feel wow this is the one of the real-life adventure and real local culture you could get a mix tradition. Here if you want to travel normally you should more than two people with a guide as if you hire porter that is your choice. The Manaslu trek starts from Soti-Khola which is reached after 7/8 hours drive from Kathmandu first day following Trisuli river then the end Budigandaki river viewing agriculture platform and tradition local houses and a lot of green hilly region jungle. This trek normally takes 14 days if include Tsum valley will be more days. The Manaslu area is locally base culture and old traditional ethnic group people living area in Nepal. All the trekking trail follows Budi –Gundaki river till the top of the Manalsu Larke which is (5106m) above the sea level most challenging all of you those travel while you are doing there.